Robert Maki is a leader of reasoned efforts in the design and development of spatial databases that benefit his own department as well as the rest of the state. He was the project leader in developing the award-winning and highly utilized DataDeli. While working for ESRI Robert was closely involved with the development of the Digital Chart of the World. Robert also serves on the Standards Committee of the Governor’s Council on Geographic Information and initiated the effort to focus on an interagency data architecture. 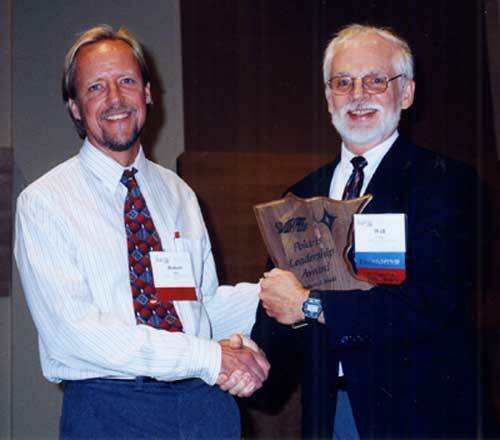 He was co-author of the State of Minnesota standards and guidelines for coordinate specifications and metadata formats. Robert strives to share his knowledge with others and has given numerous papers and workshops at the state GIS/LIS conferences. Robert is an associate member of the graduate faculty at the University of Minnesota where he teaches a course in spatial database management.